In this post, I have the list of South Korean job sites which I believe will help you secure the job you’ve been searching for. The economy of South Korea is the 4th largest in Asia and 11th in the world and has been of extreme growth in the past years. No wonder job finders search for new job opportunities daily and want to work with top companies in the country. South Korea is a beautiful country and thus attracts foreigners in the country who will not likely go back to their own country but settle down and look for new opportunities. For these reasons, searching for jobs becomes their number one priority. These jobs sites below will enable both citizens and foreigners to look for jobs in South Korea. 24 What is South Korea’s unemployment rate? 25 What is South Korea’s employment rate? 1. JobKorea Arguably one of the largest job portals in South Korea that makes seekers are satisfied with their job search. 2. Seramin Seramin is a good job site to seek for employment opportunities. 3. naukri.com Job seekers search for jobs and get online services on this site. 4. Incruit.com A great site with a beautiful design. it provides jobs in all categories. 5. Alba.co Sign up on this site and get the best jobs in South Korea. 6. Jobplanet.com With jobplanet.com you are sure of getting jobs in South Korea. 7. Albamon.com Albamon.com helps you get jobs in all cities in South Korea. 8. Career.co.kr A great site to search for jobs in South Korea. 9. Findjobs.co.kr Job seekers can browse jobs by region, time and type. 10. Xpatjobs Xpatjobs is globally known for providing employment opportunities for expats. Expats in South Korea should check this site for available vacancies. 11. Jobsee.kr This is another job portal that is known for providing employment opportunities to all job seekers. 12. Learn4good Get jobs in South Korea and also get educated online in different aspects of your career on this site. 13. Just landed Foreigners who are looking for a job should sign up and apply for job vacancies in this site. 14. Glassdoor A renowned job search site that has job search options for South Korea. 15. Jobs in Korea Get full-time jobs, part-time jobs, freelance jobs, and internship jobs on this site. 16. KoreaJobfinder Just by its name, you will know it provides jobs for the Korean people. 17. Indeed.com Indeed is indeed one of the best job sites in the world. It provides jobs for job seekers in South Korea. 18. Craigslist This portal offers employment opportunity to the people living in the capital city of South Korea -Seoul. 19. Amazon jobs Amazon jobs have amazing job offers for South Korean job seekers. 20. Korea4hom This job board provides jobs to all those looking for an employment opportunity in South Korea. Provides jobs in all categories. Job seekers post a CV and search for jobs. This is one of the largest job sites in South Korea. Job seekers can browse jobs by region, by occupation, by a company, and by educational background. Naukri.com has job offers for South Korean job seekers. South Korean job seekers should explore new job opportunities here. Browse amongst the hundreds of jobs available on this site. This is a recruiting platform that connects employers and employees. Incruit Provides job opportunities to all applicants in South Korea in different categories. They have an advanced search option that makes job searching easier. Search for employment opportunities with alba.co.kr. Sign up to get the best job offers. Job planet offers job and employment opportunities to job seekers. Sign up to get jobs that best suit you. They offer jobs in all the cities of South Korea. You can also get full- time and part-time jobs on this site. Their job listing is a top notch. A great site to search for jobs. Get all the latest job offers on Career.co.kr. Job seekers can browse jobs region, by type and by time. They offer part-time and full-time jobs and career advice to all applicants. Globally known to be one of the best job sites that provides employment opportunities to expats in the world. Xpatjob Korea brings expats in South Korea to their ideal jobs. It allows them to post their CV for possible employment. This is another job portal that is known for providing employment opportunities to all job seekers. Searching for jobs is quick and easy. Job seekers can search for jobs in any city in South Korea. You can browse for jobs by category and by educational level. They also offer online education. Upload CV and begin your search. Just landed is a job site that allows employers to chat with their Applicants. They provide information about salaries, contracts, and working conditions. Foreigners who are looking for a job should sign up and apply for a job on this site. Glassdoor South Korea provides mostly English speaking jobs in South Korea. Glassdoor provides jobs in all categories. Job seekers can see salary reviews and company reviews. They also provide interview tips for all job seekers. For your full-time jobs, part-time jobs, internship, freelance, teaching jobs, and professional jobs, this site offers you all. You can browse for jobs by type, date posted, category and salary. They offer the latest job openings in South Korea. Apply for the highest paid teaching position jobs on Korea job finder. Get the latest job openings for English teaching jobs in South Korea. Indeed is a famous job site that is known for providing jobs for job seekers worldwide. Get all job vacancies, read salary reviews and company reviews, create alert to receive new job openings. Get the best jobs from top companies in South Korea. Apply now to get these offers. Craigslist offers employment opportunity to the people living in the capital city of South Korea -Seoul. 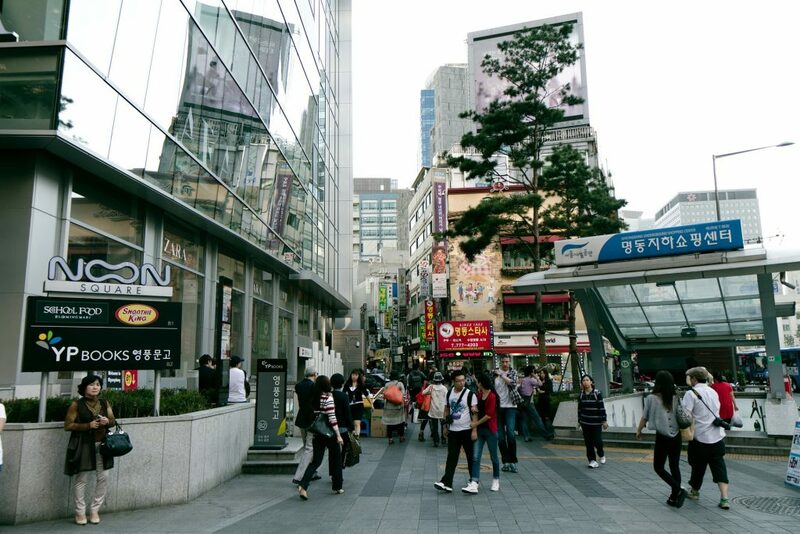 Craigslist offers job seekers in Seoul the latest job openings. This portal helps you find the best jobs in Seoul. They provide employment opportunities to job seekers in Seoul. Browse for jobs by type and by categories. This job board provides jobs for all those looking for an employment opportunity in South Korea. They provide post-graduate jobs and internship jobs. What is South Korea’s unemployment rate? As of January 2018 to December 2018, the unemployment rate stood at 3.8 percent and 3.6 percent but skipped to 4.4 percent in January 2019. What is South Korea’s employment rate? According to Trading economics, since the year 1999 to 2018, the employment rate was averaged 59.76 percent. The highest employment rate ever recorded in South Korea was in July 2017 which was 61.60 percent and the lowest was in February 2001 which recorded 56.10 percent. These South Korean job sites will help you sort out the job/jobs that suits your profile. You don’t need to bother yourself anymore because these South Korean job sites will help you get your dream job. You don’t need to go from one company to another in search of a job. These websites have made everything easy. it is fast and very easy to use. Their main aim is to bring together employers and employees so that employers can get the best candidates and employees the best employers.